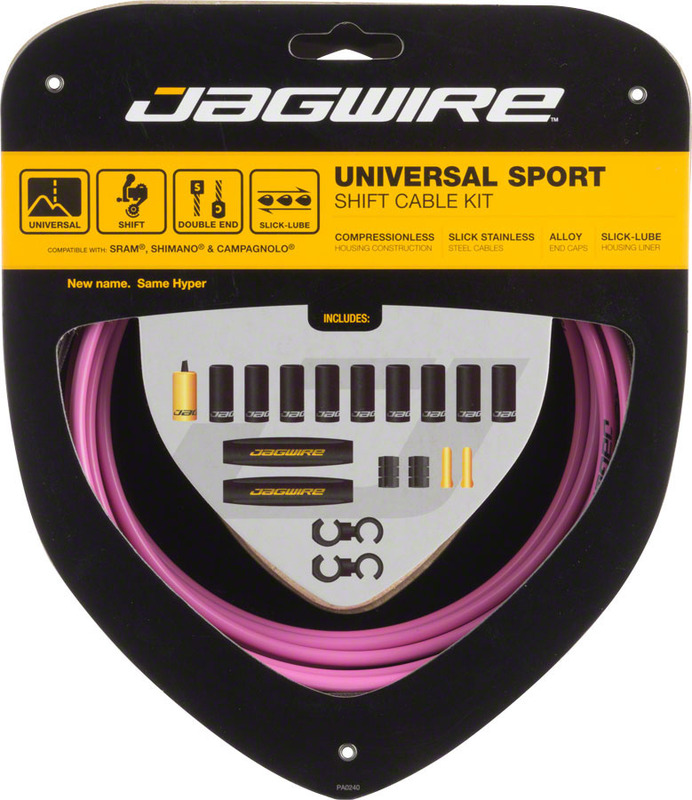 Formerly known as Jagwire Hyper cables, the Jagwire Universal Sport cable and housing kit is the best value cable kit on the market. 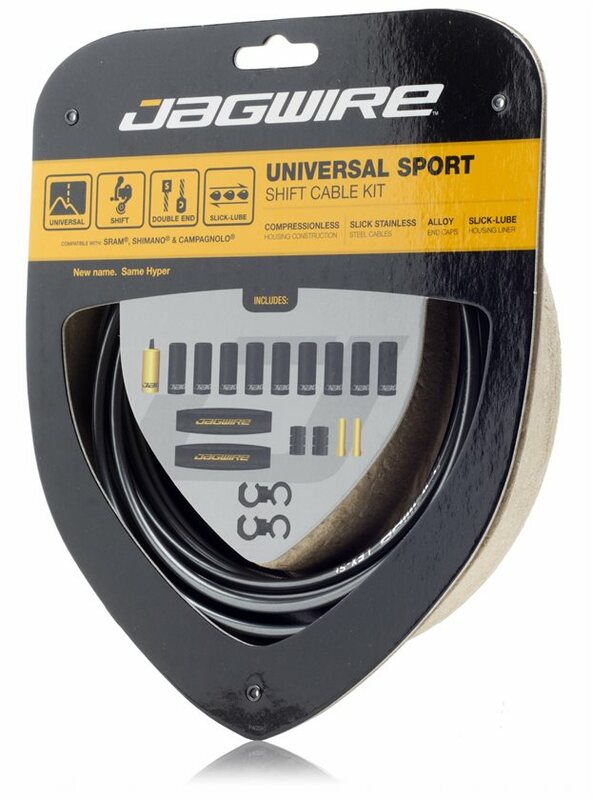 Featuring everything you need to set up both derailleurs, the Jagwire Universal Sport cable and housing kit includes performance enhancing details like LEX reinforced housing with an L3 liner and improve the performance of your derailleurs over stock housing and cables. I bought these as a replacement for stock cables even though they were new. Cable end caps fit loose in my new Niner frame. Jag wire is good but I would be happier with the Avid Flakjackets that I normally use. The double ended cables blow,once you cut the campy off one end then try to feed it threw your X-9 twist shifter without fraying the ends is practically impossible to do. for the price they should offer more housing length, one box will not even come close to doing a full suspension bike. Pay attention to the lengths before ordering. 3800mm total cable with 2700mm total housing. I only bought this to use for my rear derailleur as I run a single chainring. More than enough housing to run full length from shifter to rear derailleur. Not enough if i where to also run full length to a front derailleur. Cable slides very smooth for me. 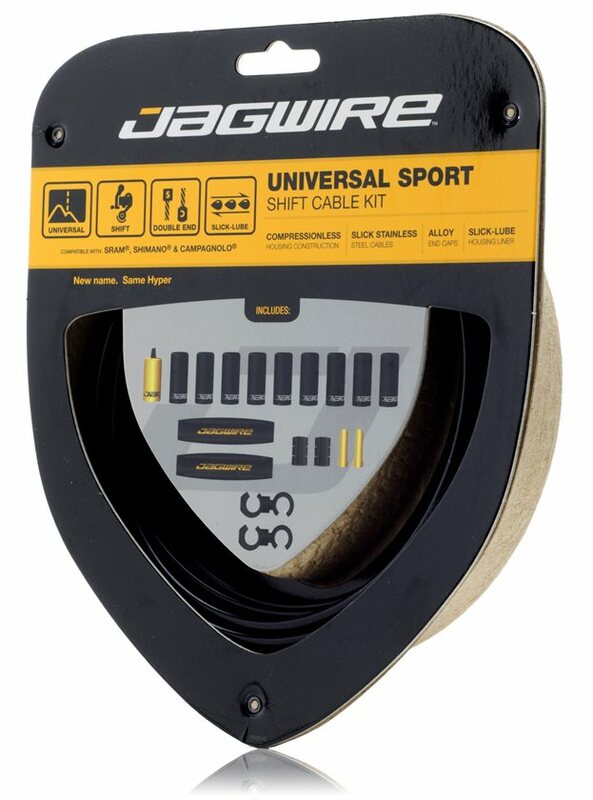 I have been using Jagwire products for years. I have never had a single complaint with them. The action on the cables are always smooth even when they don't get the maintenance that they deserve. I was able to replace the cables myself in about 1/2 hour. 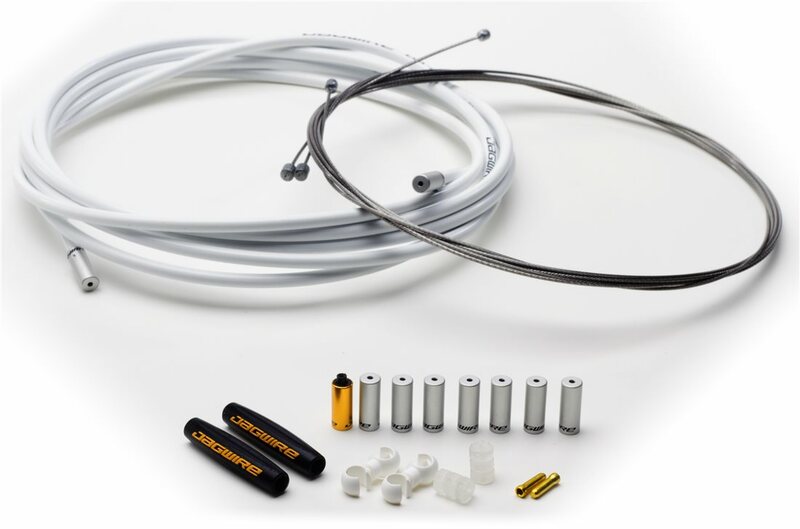 This kit includes all the flexability for all installations. Easy to use on Mountain Bikes harder on Road Bikes. I allways use a Dremel style tool to cut the housing since there is no crushing. Deburr is almost not needed. I have never before been able to shift after replacing a shift cable,much less a new install. had just put them on the bike and had cable just pulled and set,went to shift so I could adjust the slack and it shifted,first time ever.even the gore and shimano have required adjusting out of the box.well done jaguire. Plenty of room for front and back cables with a lot of extra housing to boot. I have a large frame bike, and the regular size was plenty for me. this is a nice kit that will suite your needs as a shifter cable setup nicely. just cut to length and install. also like the color options, the silver looks great on my bike! Used these to rebuild a trek fuel with all shimano xt hardware. Used to have to break in the shimano cables but these were tight and consistant and have not had to readjust yet. I've paid alot more for far less quality in "high performance" cables. I ride on trails that are wet most of the year so the sealed housings are great and the ferruls are better than most premium brands. Great kit that comes with a lot for the money. The kit was complete and with the addition of the supplied clamps and finishing pieces, the system looks better than the cables which had failed. 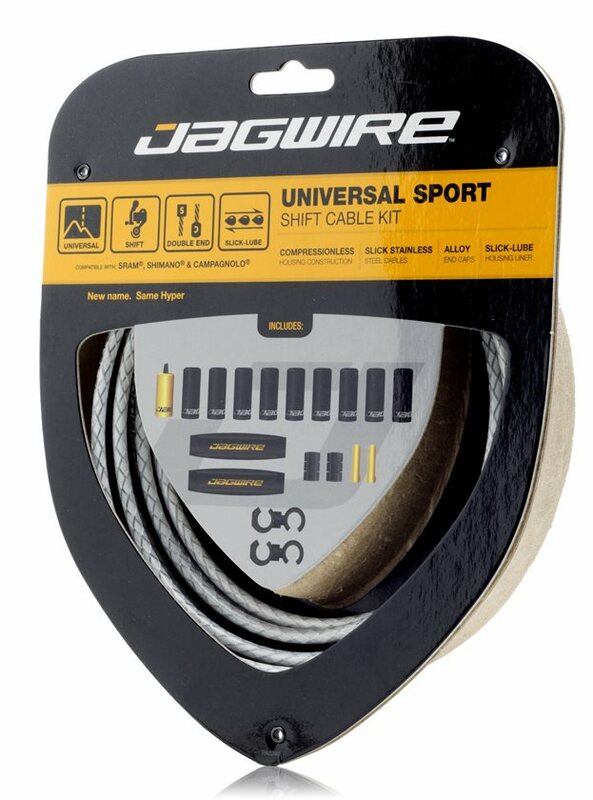 I like jag wire stuff it is always a quality offer at a decent price. It's just a shifter cable kit, so no great shakes. What I really appreciate is the service. One of the items I ordered was out of stock. Rather than force me to wait, Jenson e-mailed me to confirm that I wanted to wait, rather than change finishes to an in-stock item. A small thing, but the right touch. Especially for such a small order. Pretty cool. Items shipped on time, arrived when promised. 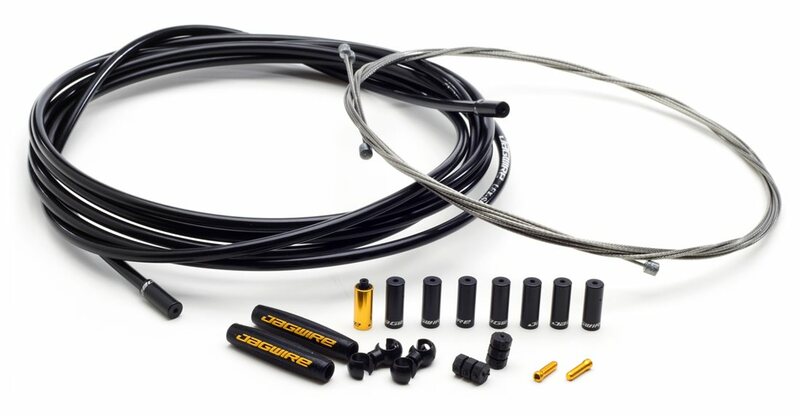 Great cable package, this is my "go to" when I need to replace my cables or the cables on a bike I'm fixing/tuning up. Used the braided white cables on my Niner Jet 9 build...adds a real touch of class to the rig. The hole in the ferrules were really tight so I drilled them out a bit. An inconvenience but not a problem. Function great ...the gold end caps are nice! Worth the money! I got set at really good price. Easy installation and jt looks good. Really looks good! I put the white cables on my Red Niner and it gives it the look of a professional build. Cables were easy enough to install and work just as you'd expect. Also, put those Jagwire rubber tubes (the ones you don't know what to do with) over places where you would expect there to be cable rub or contact with the frame. Instructions don't tell you that. A trusted brand and a complete kit for the job! I recently purchased a 1985 Batavus Competicion that needed a bit of love to be roadworthy again. The cables on the bike were looking pretty ragged. 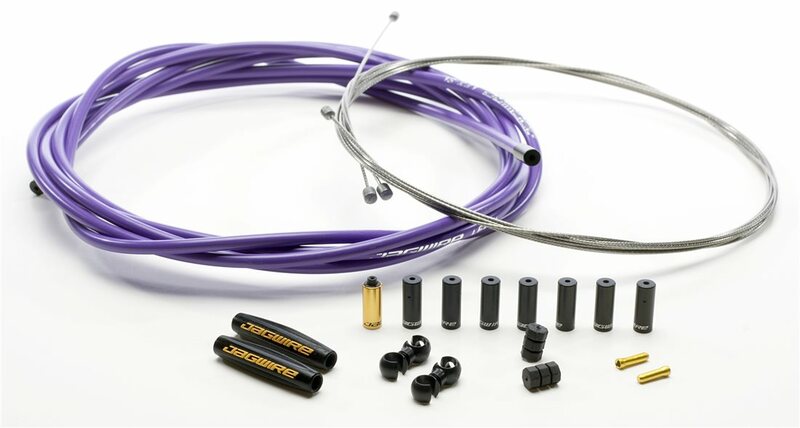 I went to Jenson USA and looked directly for a Jagwire kit. They had the kit I needed in the color I needed to keep with the original scheme of the bike. 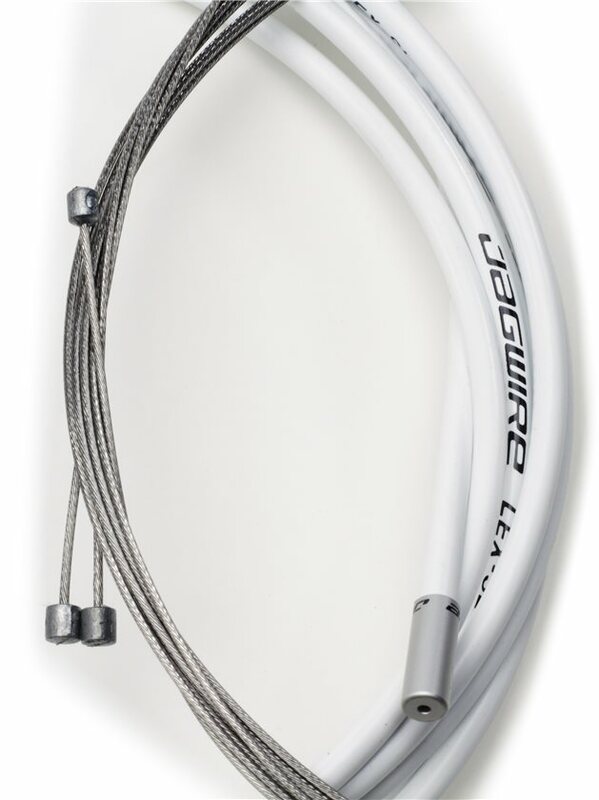 I have used Jagwire before on my other bikes so I know its quality and durability. I will continue to trust Jagwire for my cable needs. 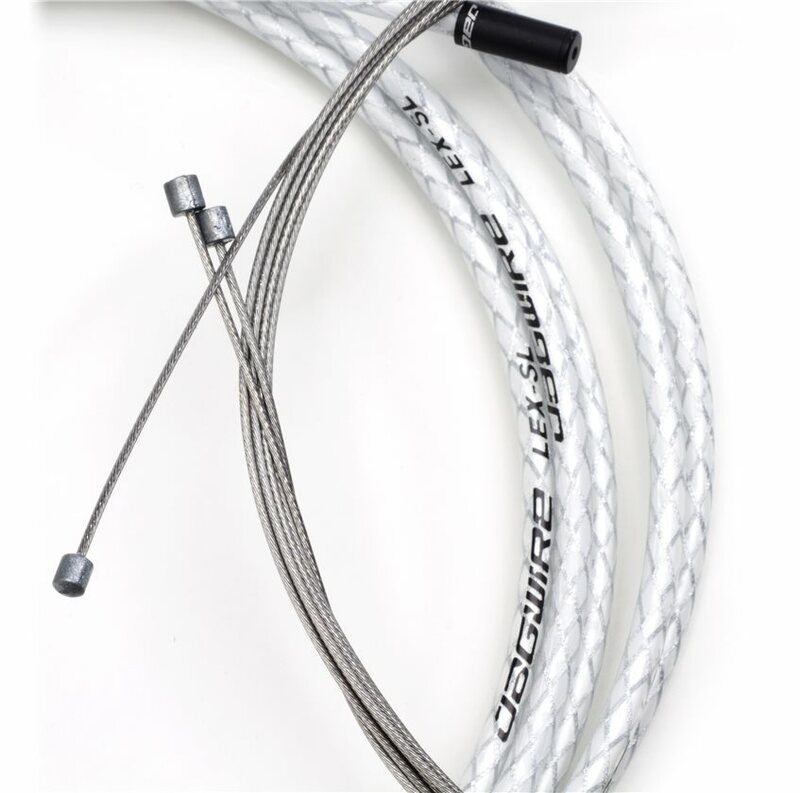 Jagwire quality and dependability meets Jenson customer service and pricing. An unbeatable combination! these kits, while they are pricey, they are top notch and come with everything you need. My go-to cable kit when I have to replace cables on my mountainbike. Cable is a little stiff and has a little more resistance moving in the housing, but it works when it's all you have. Very happy with this shift cable set. The cables are ultra smooth and the housings are durable but flexible. I had no problems cutting either with a proper cable/housing cutter. Assembly was easy, and the included sealed boot for the lower housing is pretty slick. This set might be overkill for my wife's bike that only gets used once or twice a month, but it's great on mine which gets used every day. I originally installed the rear derailleur cable first which I though was too short. I then moved to install the rear Brake cable (also a Jagwire) and guess what? I discovered that the cables aren't the same length. One is shorter than the other. So I checked the shift cable set and sure enough one was longer than the other. Duhhhhh. So I have to retract my earlier review statement. The shift cables (and brake cables) are long enough to reach the rear derailleur and disc brakes. As I stated before, these cables are good looking and the bare cable tubing is a nice touch. It keeps the cable totally encased and away from the elements. My only ding, and this is a small one, is I wish there was just a little bit more of the bare wire tubing. The routing on my frame could have used about another 4 inches of the shift cable tubing. Luckily, I was able to be creative and make it work. 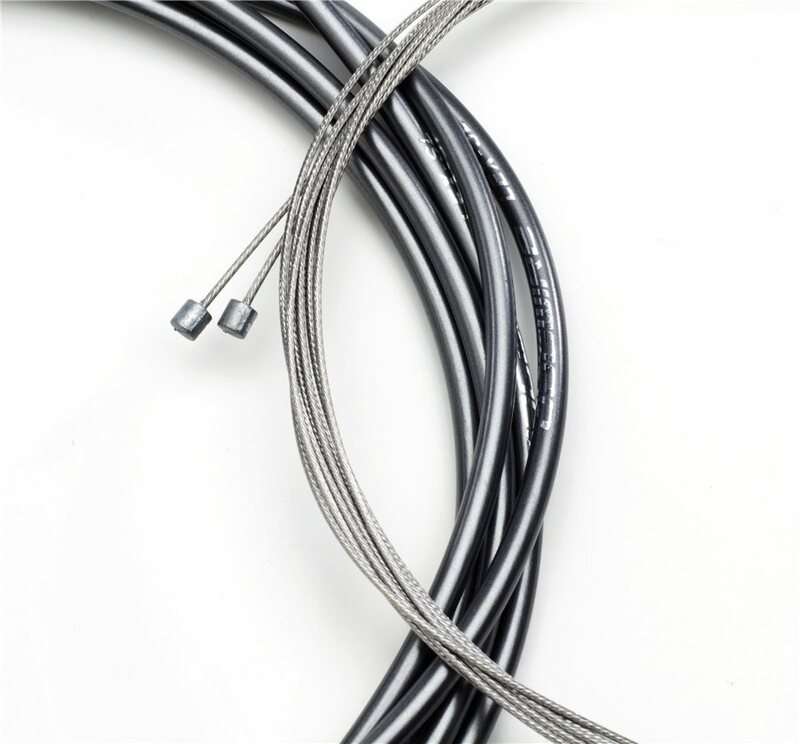 Be aware, if you have bare wire sections (no cable housing) along the frame of your MTB, and most do, installing the tubing will take you more time if you want to do it right and encase the bare sections. I must have spent a couple of hours making sure that I had every thing cut and fit properly. But the end result is well worth it! In my case it always take more time, for beeing international but thr product is always perfect. This was what it was advertised to be. The gold color is pale though. Cables, housing, ferrules and cable ends. All appears to be high quality with minimal compression or stretching. There were "enough" ferrules and cable ends, but it would be nice to have a few extras for mistakes. This is the second time I have purchased one of these kits. All in all it is a solid package. Everything you need for your 2x shifting needs is included. Enough housing to run full length to both derailluers, enough ferruls to use cable stops. 2 cables. Here is the one low spot for this kit. You are sent 2 different length cables...one for FD and one for RD. That is great if using on a 2x/3x system. On a 1x system the FD cable is too short to use as a RD...so it goes to waste. If they just included 2 of the longer cables it would be so much more worth the money. I guess you need proper cutting tools to cut housing and wire. I used wire cutter and it was difficult to cut. Also, near the end of installation the wire got frayed and was very difficult to put in the last end cap. I had to cut 2 inch of the end of the wire and I was lucky to have just enough wire. The second wire is shorter and was not long enough to use for the rear derailleur. Would I buy again, maybe but I have to get a different cutting tool. This cable set is the best I have used. I race my bike often and this is reliable and smooth. The extra rubber bumpers and clamps that come with the kit is a big plus. This is an awesome value. I will Definentely get this set again. The black/gold braid cable is a nice visual contrast to my black frame, and the protective liner for bare cable areas is a nice touch. My only complaint is the cable is too short to make it to the rear derailleur on my Stumpjumper Pro. Luckily I had a spare cable that I could use. The fit and finish is nice, and I love the rubber waterseal housing ends. Very nice touch. Did its job, good price, happy with purchase, would purchase again. Installed on a 2013 Mukluk. "Attractive Design" = Close-fitting ferrules (end caps) should help keep the dirt out. 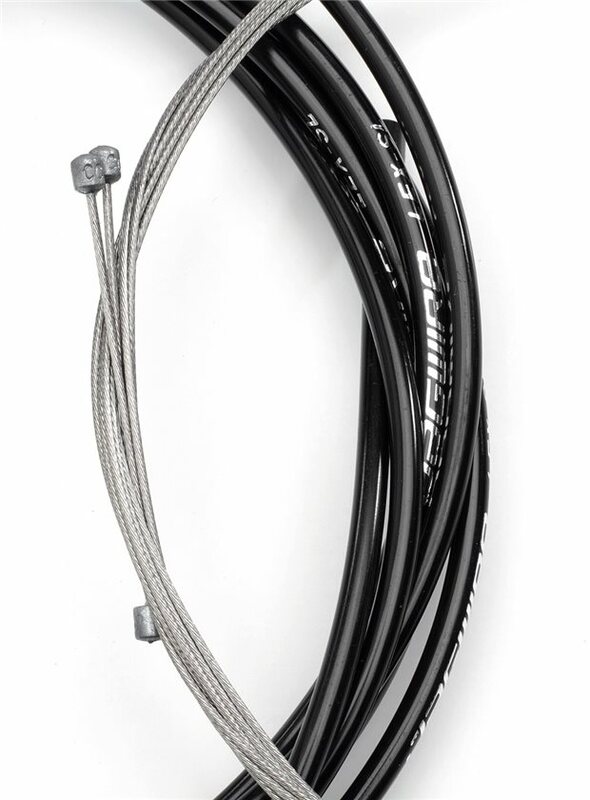 Inner wires are double ended for road and MTB; this versatility makes them a good set to keep on hand as a spare. "Easy to Install" = Cable housing cuts clean without the ends closing up. The cut ends are much easier to trim than the braided aramid types. "Limited Compatibility" = This kit comes with 2700mm of cable housing. I installed this on a large frame with full-length cable housing, 710mm handlebar, and I used all of it. I had to measure and calculate carefully to make only one cut. (no drop-off) The installation ended up shorter than my O.E. cables, but still adequate. Although the colors look cool, I did not notice a significant improvement in shifting performance with this kit. I was able to use this for my front derailleur with no problems, but the housing was a little on the short side for my rear derailleur. I ended up having to buy more housing, which kind of defeated the purpose of buying this kit. I was still able to use the cable and ferrulls, so it wasn't a total loss. Overall works great, but I can't recommend it because i had to buy extra housing. 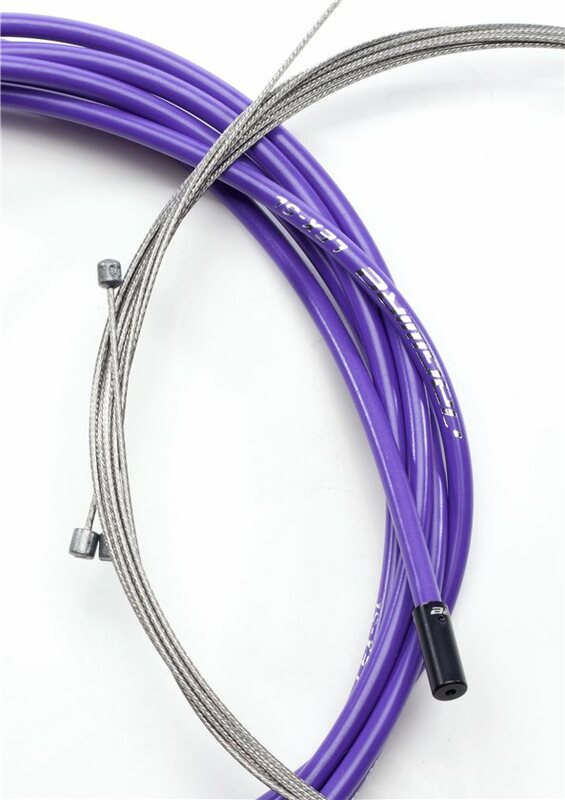 I love the color selection of these cables. They are easy to install and work well out of the gate. However, I continued to have problems keeping them running smooth after a few dirty rides. I'm typically not a "mud-bogger" but I do race and sometimes that means you're racing in wet muddy conditions. These cables didn't do well after a couple dirty rides and definitely not after a mud race. Fortunately, this kit cable with enough housing to replace every piece of housing on my bike so I was able to cable my bike with this kit twice by cleaning and reusing the inner cable. 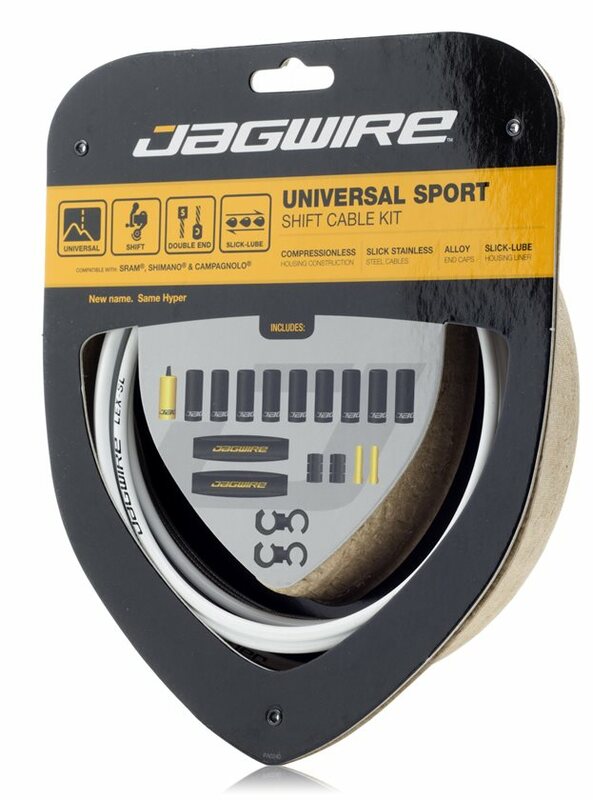 I have since upgraded to the Jagwire Mountain Pro Shift Cable Kit for $8 more but with a number of improved features for keeping the cables clean and smooth. So far, no problems. If you are a fair weather rider that avoids the mud and wet then this kit is probably great for you. If you ride no matter what in cold, wet and med then you should probably kick it up a notch and go with the Pro kit. Jenson has it for a great price. I have a Giant Trance 27.5. I needed new cables and decided on adding some Jagwire flair. All cables are internal routed on the Trance. Because of this the kit came out about 2.5 inches too short. Needless to say I was bummed. 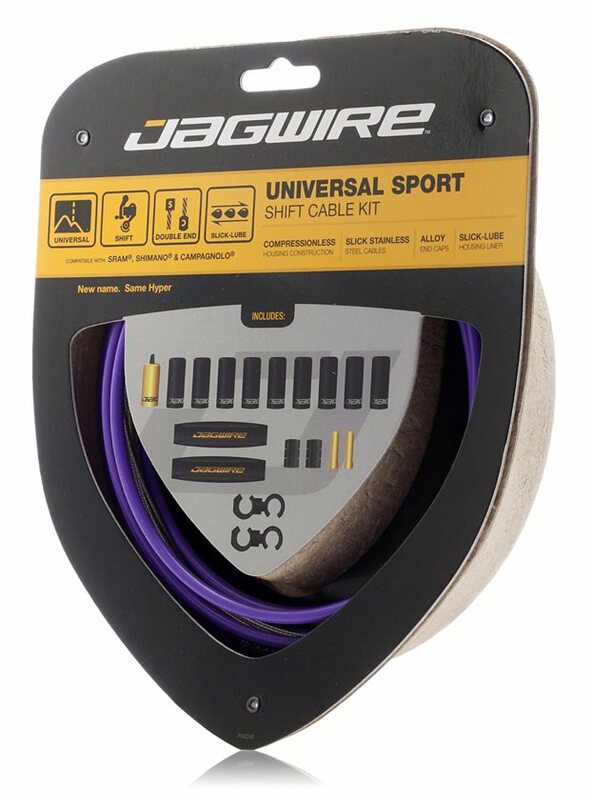 I've got one Jagwire cable which works great and another just stock. It looks GHETTO! I now need to purchase a whole new kit. I was looking at the pro MTN kit and the housing is even shorter. I don't know what to do right now. MAKE SURE AND MEASURE THE TOTAL AMOUNT OF HOUSING NEEDED. 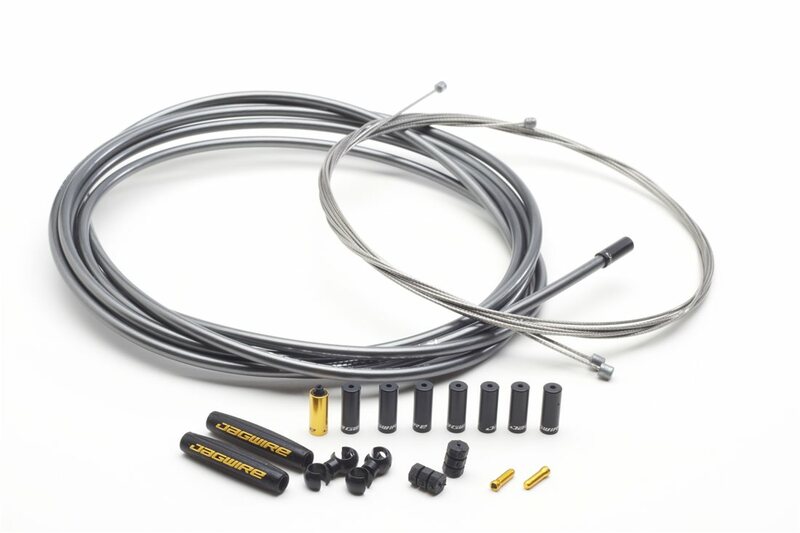 I have had very good luck using the Mountain Pro series from Jagwire when building up bikes. When I checked Jensen this time, I could not find the Mountain Pro, so I went for this Universal Sport kit instead. While the housing is fine, the inner cable is terrible and frayed over and over again while trying to feed it through the housing. I ended up having to throw it all away and used a shimano kit that I had in my parts pile. I would NOT recommend this kit at all, however, if you find the Pro series kit for either mountain or road, that kit works. The cables and housings were too short for my 2012 Rocky Mtn Slayer. Even using the longer shifter cable for the rear, it was still way too short, didn't even leave the housing. Had barely enough housing too, probably not the best for longer AM bikes. I found that these cables would easily fray even upon application. Not impressed for that reason and the result is this lower rating. Hi, if I were to use the cable and the housing for fox transfer seatpost (with internal cable routing), will it work?lengthwise? and housing diameter compatibility with the lever?Thanks! BEST ANSWER: I cannot answer. Good quality cable and great housing for my deraileur/shifting. My full suss rig is all external. Having said that, the selection I chose (braided design) is a slightly larger diameter. Would be easy to modify an opening with a rat tail file, sandpaper over a wooden dowel, or a drill.